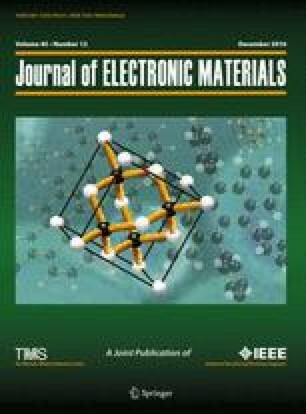 The spreading of Zn-Al eutectic-based alloys with 0.05 wt.%, 0.1 wt.%, and 0.2 wt.% Li on Cu substrate has been studied using the sessile drop method in presence of QJ201 flux. Wetting tests were performed after 1 min, 3 min, 8 min, 15 min, 30 min, and 60 min of contact at temperatures of 475°C, 500°C, 525°C, and 550°C. Samples after spreading at 500°C for 1 min were subjected to aging for 1 day, 10 days, and 30 days at temperature of 120°C, 170°C, and 250°C. The spreadability of eutectic Zn-5.3Al alloy with different Li contents on Cu substrate was determined in accordance with ISO 9455-10:2013-03. Selected solidified solder–substrate couples were, after spreading and aging tests, cross-sectioned and subjected to scanning electron microscopy, energy-dispersive spectroscopy (EDS), and x-ray diffraction (XRD) analysis of the interfacial microstructure. An experiment was designed to demonstrate the effect of Li addition on the kinetics of the formation and growth of CuZn, Cu5Zn8, and CuZn4 intermetallic compound (IMC) phases, during spreading and aging. The IMC layers formed at the interface were identified using XRD and EDS analyses. Increasing addition of Li to Zn-Al alloy caused a reduction in the thickness of the IMC layer at the interface during spreading, and an increase during aging. The activation energy was calculated, being found to increase for the Cu5Zn8 phase but decrease for the CuZn and CuZn4 phases with increasing Li content in the Zn-Al-Li alloys. The highest value of 142 kJ mol−1 was obtained for Zn-Al with 1.0 Li during spreading and 69.2 kJ mol−1 for Zn-Al with 0.05 Li during aging. Aging at 250°C caused an increase in only the Cu5Zn8 layer, which has the lowest Gibbs energy in the Cu–Zn system. This result is connected to the high diffusion of Cu from the substrate to the solder. This work was financed by Ministry of Science and High Education of Poland Grant IP2014 011473 “Effect of addition of Na, Li and Si to eutectic ZnAl alloys on phenomena occurring at the interface of soldered joints,” in the years 2015–2017. Open AccessThis article is distributed under the terms of the Creative Commons Attribution 4.0 International License (http://creativecommons.org/licenses/by/4.0/ ), which permits unrestricted use, distribution, and reproduction in any medium, provided you give appropriate credit to the original author(s) and the source, provide a link to the Creative Commons license, and indicate if changes were made.